I’m promising myself I’m going back to the Wednesday knit in at my LYS. This is Pat’s brioche wrap. She’s hiding. I told her that’s fine. She and a pretty large group have mastered brioche over the winter. Isn’ t this lovely? Bailey worked up this darling hat from a thin book called : Celebrity Baby Fashion. Looks like bulky and would be a fun work up. Karen loves her shirt and I asked her to model it for us. She’s a rowdy one in the group. Since Fireman and I are operating on ONE TRUCK as a family, I couldn’t stay today. But Pat offered to drive and pick me up anytime. Nice nice ladies! I’m still Logging along with my Log cabin. The one I started for FALL KAL. I have ordered a Log Cabin book and already have my next color scheme purchased. Everyone was talking about all the birds we are seeing during migration. THEY have all seen indigo buntings and I have not! I’m on the look out. 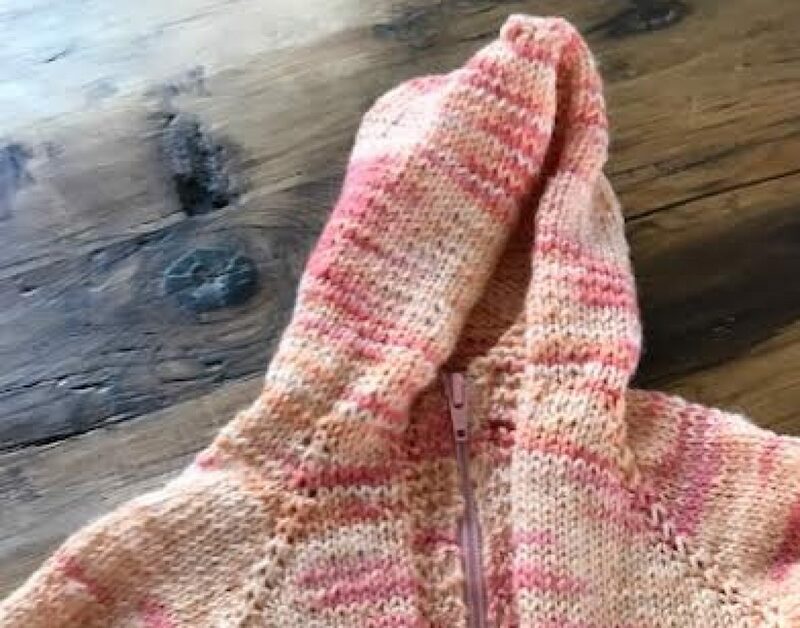 What’s inspiring your knitting these days? I have seen an indigo bunting exactly once. It was migrating through n.w. WI and had the good sense to perch for awhile on a branch a few yards from my kitchen window. Great post! I love the Brioche shawl!!!!!! That shirt is so funny! And knitters are nice! I’m with you. It never really clicked with me either. Oh, that shirt! Isn’t that just the truth. Not sure what inspired me, but I started a GARMENT today!!!!! LOL. I like lady #2; her t-shirt was funny. I’d like to meet her. This beautiful weather inspires me! I came home from work on time so I could sit in the backyard and knit. What a lovely group of knitters. I’ve seen that t-shirt and it always cracks me up! I am knitting on some dish cloths. I got into my gift drawer the other day and realized I only had a couple left so it’s time to get the needles busy! I have tried brioche twice. Both times I was an abject failure. I think I need to take a class. Usually if I can see someone actually doing a stitch I can pick it up much easier than the written directions. Another side effect of the stroke I had many years ago. I’m glad the ladies are so nice there. I have found in my experience, that knitters are a bunch of the friendliest people. Wonderful knits and t shirts! I have never seen an indigo bunting nor a blue bird, but I do hear our hermit thrushes singing off in the woods. They sound so sweet! I am knitting away on my hand spun sweater and ignoring my intricate cabled shawl, Durrow. But not forever. I am just loving knitting a sweater with yarn I made myself! Love ❤️ Karen’s shirt! I detest spiders and have killed a few bits of yarn, too. The brioche shawl is lovely. I haven’t tried that stitch yet, have you? You knitters have a droll sense of humor! LOL!